Kongdoo Monster is a Korean team. They were formerly known as e-mFire. Kongdoo Monster was announced as the new name of e-mFire in February 2016, partway through the spring season of the LCK. At the time of Kongdoo's sponsorship, the team was in ninth place in the league, with a 1-7 series record, and after the rename, the team still failed to win any more sets during the season, ending 1-17 in last place. This forced them to play a relegation match against challenger team MVP, who defeated them 3-1 and relegated them to Challengers Korea 2016 Summer. Afterwards, the team picked up jungler PuNch. January 9, Chunco (previously Sweet) joins as a coach. Han moves to sub. January (approx. ), bullybully and Aegis join as subs. April 15, Han Earl joins as a coach. April (approx. ), Aggro, Ace, Moo, and Sangin join as subs. bullybully leaves. May 1, Ace moves to the starting roster. May 15, ZergMaN joins as head coach. MC leaves coaching role. May 31, U Jun renames to LuBu. Secret renames to X.
June 3, BroCColi and Umaru join. June 4, VicaL joins as a coach. Chunco leaves coaching role. June 10, Raise becomes inactive. November 4, team disbands. Roach, BroCColi, LuBu, Ace, Edge, SSol, Umaru, X, Aggro, and Moo leave. ZergMaN, Han Earl, and VicaL leaves coaching roles. November 19, team's CK slot is acquired by Brion Company. January 2, Secret joins as a sub. January 19, Shark moves to owner. Lee Seok-jin leaves owner role. March 20, Zefa rejoins as a coach. August 14, Secret moves to starting support. November 19, U Jun and Han join. Punch and GuGer leave. December 18, Zefa leaves coaching role. February 18, e-mFire renames to Kongdoo Monster. Hipo, Crush, Edge, Roach, SSol, and GuGer join. viNylCat joins as head coach. Micro joins as coach. March 2, Roach moves to sub. May 25, PuNch (now Punch) joins. Crush moves to sub. June 6, Roach moves back to starting toplaner. June 27, Zefa joins as a coach. July 5, Hipo moves to sub. August 25, team qualifies for LCK Spring 2017. October 20, Hipo and Crush leave. October 24, viNylCat leaves coaching role. October 28, Micro leaves coaching role. November 2, Park Yong-woon joins as head coach. MC joins as a coach. Zefa leaves coaching role. November 19, 2nd place in 2016 LoL KeSPA Cup. December 5, MC moves to head coach. Park Yong-woon moves to director. bullybully Jeong San (정산) 1Sub/Top Awe Star 2018-01-112018-01-?? 2018-04-112018-04-?? 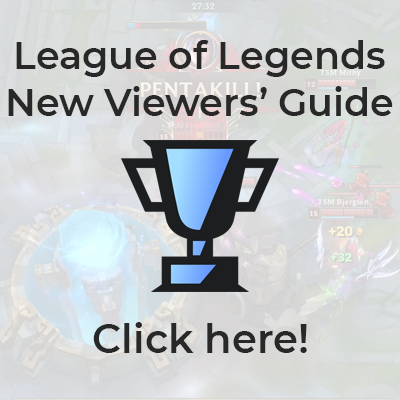 For a full chart listing all LCK players, click here. This page was last edited on 16 April 2019, at 09:24.